Digital Extremes didn’t hold anything back for Warframe at this year’s TennoCon. Announcing Warfare for the Nintendo Switch was not all they did. They also showcased gameplay for Fortuna, its next big open world set on Venus. Combining futuristic synth and a Blade Runner aesthetic, Fortuna sees the Solaris United faction attempt to fight back against the Corpus. Check out the gameplay below. Along with acquiring bounties in a new hub and meeting new NPCs, players can create Moa companions and craft guns. Taking to the surface of Venus will allow for battling giant Spider Bot enemies, assisting the Conservation Movement in capturing animals and even riding a hoverboard around. 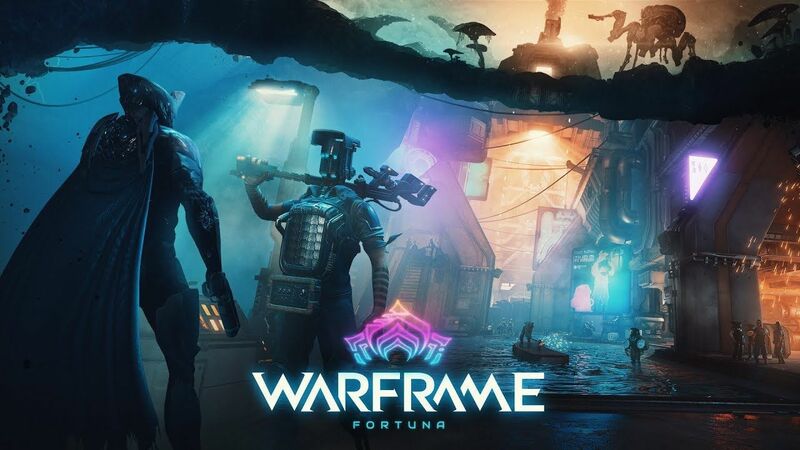 Fortuna will be out sometime in 2018. Of course, that’s not the coolest part. New foe Nef Anyo must also be fought in space, so players will hop aboard a new multi-crew ship, travelling from the surface to space and engaging in space combat with Anyo’s capital ship. While one player will control the ship, others can take the gunners, put out fires and even fight against any boarding parties. They’ll then exit the ship and infiltrate Anyo’s ship, coordinating with their allies to blow it up. Dubbed Codename: Railjack, there’s currently no release date for it. Finally, Digital Extremes released a teaser for its next big cinematic quest The New War. No spoilers here – check out the teaser below if you really want to ruin The Sacrifice for yourself. Basically, the Tenno will finally head to Tau system to battle the Sentients. No release date was offered for this either, so expect a long wait. Other announcements stated that two new Warframes – Codename “Revenant” and Codename “Garuda” – are inbound, with the former likely out this year.